Democratic candidate Pat Quinn took the positive approach Thursday, promoting his gubernatorial ticket’s programs for lower drug prices and utility bills, while increasing health benefits for seniors. The Democratic candidate for lieutenant governor was the only candidate to appear before Metro Seniors in Action, a group of Chicago senior citizens. He used the forum to emphasize issues most important to his audience, avoiding most of the political wrangling that has been part of this year’s campaign. Syd Bild, chairman of the Metro Seniors in Action health committee, said the organization does not make political endorsements, but that Quinn was the only candidate of several invited who responded to its invitation. “We wanted to find out where these candidates are, where they stand on the issues of the day,” Bild said. Quinn focused primarily on the issues of prescription drug and utility costs, which he said hit senior citizens particularly hard. He also said utility prices often become a public health issue, citing the 1999 heat wave that killed more than 100 people. Quinn touted the achievements of the Citizens Utility Board, a consumer advocacy organization he helped create in 1983, as a check against “the big utility companies” — including Commonwealth Edison and People’s Gas — which he criticized for passing their costs onto consumers. 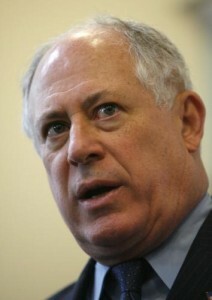 He also said Blagojevich would fight for the Bernadin Amendment to the Illinois constitution. Named after the late Joseph Cardinal Bernadin, the amendment would designate health care as a constitutional right. It has been passed in the Illinois House, but has not been called up for a vote in the Senate. Jim Ryan, Blagojevich’s Republican opponent, has rejected the idea of a minimum wage increase. He has said it would hurt the state’s ability to attract businesses relative to its neighbors unless the increase was made at the federal level.